Have you ever wondered what lies beneath the surface of Lake Ontario? 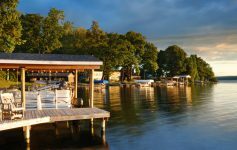 While naturally there are a wide variety of plant and animal species, you may not know that there are over 200 shipwrecks at the bottom of the vast lake. Some, like the Royal Albert schooner discovered in 2016, are over a century old! Since the 1600s when commercial ships began to transport goods and cargo across the Great Lakes, an estimated 6,000-8,000 ships have wrecked. While many of these were brought to a harbor and burned or broken in pieces, others sunk. Lake Ontario alone is home to roughly 200 shipwrecks, and while some have been identified, others have yet to be discovered. Although historic shipwrecks in New York State waters are protected by state and federal law, explorers can still search for and examine them using underwater technology. 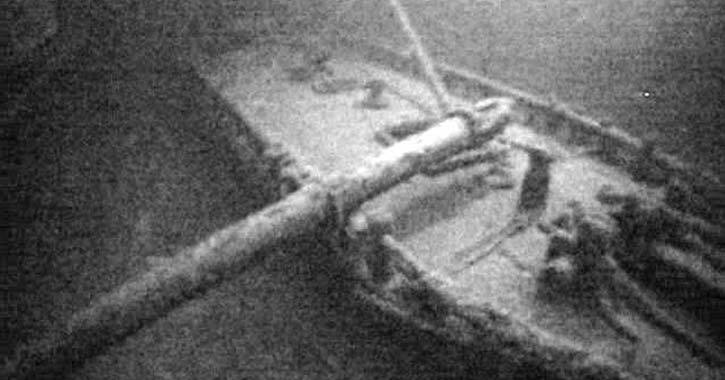 One of the most interesting shipwrecks in Lake Ontario was discovered in June 2016 by a small team of local shipwreck explorers, which included Jim Kennard, Roger Pawlowski, and Roland Stevens. The shipwreck was of the Royal Albert, a Canadian schooner that sunk while traveling from Oswego, NY to Toledo, OH. The Royal Albert was built in 1858 in Oakville, Ontario, Canada. In August 1868, the 104-foot long ship was loaded with 285 tons of railroad iron and then set sail. After just a few hours on the lake, the ship’s heavy cargo shifted due to the harsh water conditions, causing the boat seams to burst. The crew managed to escape the sinking ship in a small boat, but the Royal Albert was lost to the depths of Lake Ontario. In the summer of 2016, shipwreck explorer Jim Kennard and his team were searching for potential signs of shipwrecks in Lake Ontario when they discovered the Royal Albert. Using high resolution Deep Vision sonar and a VideoRay Pro IV Remote Operated Vehicle (ROV), they were able to survey the underwater wreck and determine it was the lost schooner. Shipwrecks help shine light on shipping methods during specific periods in history. The story of the Royal Albert exemplifies the shift in shipping methods in the post-Civil War period. Rather than rely on canal boats to ship heavier products, such as railroad iron, large boats were built to transport this type of cargo. However, while the Royal Albert was a significant find, there are still many more shipwrecks waiting to be discovered in Lake Ontario and other bodies of water.